Jane Anderson asks the big questions in this wry rumination on letting go. Grieving the recent loss of her daughter, Dinah (Jennifer Joan Taylor) decides to reconnect with her cousin Jeanette (Liz Zweifler). Dinah talks her straitlaced husband, Bill (Steve Spencer), into a weekend trip from Ohio to northern California, where Jeanette and her husband, Neil (Ron Wells), reside. Jeanette and Neil are dealing with losses of their own: Their house has been swallowed up in a wildfire, leaving the granola-crunchy couple living, seemingly happily, in a yurt. Less sunny is the outlook for their future, as Neil’s been diagnosed with terminal cancer. 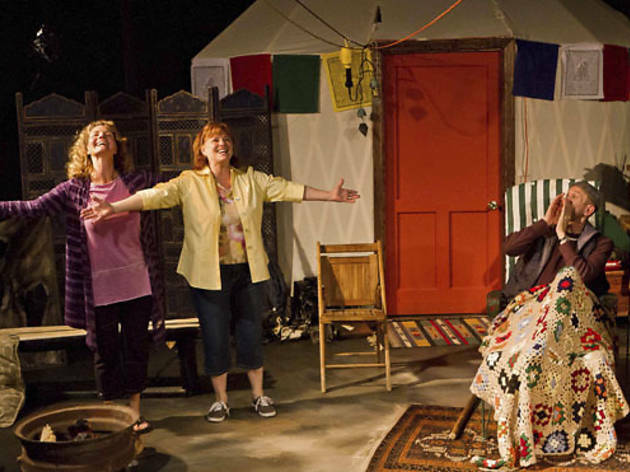 Playwright Jane Anderson’s 2007 work skillfully sets her two couples at odds, with Bill and Dinah’s born-again Midwestern values chafing against Jeanette and Neil’s practical humanism. As the day wears on, more becomes clear about the Californians’ extreme preparations and the growing distance between the Ohioans. Director Lia D. Mortensen has a sharp ear for the precarious balance of politeness and perturbation that distant relations require. 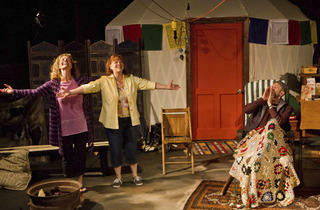 Her four actors are uncannily cast, each deftly conveying a recognizable type without descending into caricature. Taylor and Zweifler are particularly on point as the sunny homemaker and pragmatic pothead, respectively. The two pairs start the day cheery and wary, confident their assumptions about each other will be proven true. The unexpectedly funny, ultimately heartrending way those expectations are upended make Anderson’s play an affecting rumination on love, loss and renewal.